And so we speak of the Crystalline Transition and its anchoring in the Crystalline Vortex of the sacred ARK. The activity of the Crystal Vortex is quickening. We have told you in previous channels that the vortexial portal of Arkansas is emerging to be one of the most important and powerful energies on the planet. It has grown logarithmically over the past 3 years, and many unusual phenomenon are beginning to be noticed in the Crystal Vortex. We tell you Masters, this is just the beginning, for the crystalline energy is amazingly robust and effusively dynamic. This benevolent energy is indeed a force of omnipotent ubiquity that has not been seen on the planet in many millennia. It is a powerful combination of telluric, hyper-dimensional and cosmic forces that are capable of shaking the earth and opening dimensions. It is also capable of upshifting your frequency. All of these are in fact occurring, and exponentially so, as there are dynamics of crysto-magnetic physics at play that are beyond your current scientific comprehension. Arkansas is the largest deposit of natural quartz crystal in the northern hemisphere, and the second largest deposit in the world, second only to Brazil. But it is the largest unsegmented, continuous deposit on the planet, and contains the most resonant crystals. Programmed crystals from the Law of One. The quartz deposits in Arkansas begin in the area of Little Rock and extend in a massive western curve for over 170 miles, with a width of 35-40 miles. Arkansas also contains unique combinations of magnetic minerals, aquifers and a diamond deposit, which work synergistically with the quartz. Because of this blend of energies, the Crystal Vortex of Arkansas is the most powerful in terms of the potency and utility of its vortexial-portal field. This is why the Atlanteans were especially attracted to the area, and why the Sirian-Pleiadean Alliance still retain underground bases in the area. It is rapidly completing, and is on path to soon become the Trigger of the Ascension. Masters, beneath the surface of the central region of Arkansas rest enormous beds of exquisite crystals the size and beauty of of which are visually stunning. Some of these quartz points are over 40 meters in length, seeded by the early Atlanteans. There are crystal caves beneath Arkansas that are esthetically mesmerizing exuding a symmetry and inner light that is sublime. These ‘Master Crystals’ are beyond the reach of your mining concerns, and that is purposed. These crystal entities are very ancient and have been in a dormant mode for millennia. They were programmed with specialized attributes by the Sirians & Atlanteans, and are now in joyous modes of re-activation. These awakenings are releasing efficacious dynamics energies that spawn unusual phenomena as they reboot, non of which will be malevolent, quite the contrary…indeed they are a gift of immaculate proportion and intricate value. Question to Metatron: On the 1-1-11 (Jan 1, 2011) 5,000 birds apparently fell from the sky in Arkansas, and on the same day 100,000 fish died in the Arkansas River. Can you explain what happened, and is it related in any way to the Crystal Activation? Metatron: It was indeed an occurrence that raised quite a lot of attention. The demise of the blackbirds was in truth an aspect of the crystalline energies of Arkansas, the death of the fish was not. And although initially reported as occurring the same day, the fish began dying several days earlier. The fish died as a result of a bacterium in the river waters, which occurred as the result of residual traces of an agricultural pollutant that drained into the river far upstream. The referenced occurrence took place when an enormous flock of red-winged blackbirds, hundreds of thousands of which nest in this area, flew into a piezo-electrical pulse of crystalline energy in that portion of Crystal Vortex. The birds flew into a electrical vortexial emission that sadly temporarily stunned them and approximately 4500 of a flock of more than 15,000 experienced a loss of equilibrium. They died as a result of trauma from the crash to the ground. Now we will add that this particular type of flocking bird operates in group-thought pattern, somewhat similar to a school of fish. This type of life form is actually a unified concentric beingness and one thought pattern regulates their awareness; which is how they manage to make such beautiful aerobatic swirls, as if precisely choreographed. In a manner of speaking these flocks are one entity with many units composing one awareness ‘thought’ pattern. They are not individual beings, per se, in the usual sense. As such, their composite beingness is still quite alive. Now, let us add that what happened in Arkansas was not a result of HAARP or any covert military, secret government activity, despite the conspiracy theorists speculations. It was a natural occurrence that has taken place before in this area, albeit from different tension source. All quartz is piezoelectric. This is a mineralogical property of quartz well known to your science. Quartz is capable under certain pressurized conditions of emitting an electrical charge. However, in this case the charge was from the quickening pulses of the enormous Atlantean Temple Crystals in Arkansas. The pulsing activations of the Temple Crystals created a surface charge across the face of the massive quartz deposits and this released a crysto-electrical charge. The piezoelectric shock wave occurred briefly and at an elevation 2000 feet above the ground. Now, we tell you that other ‘unusual’ incidents of the quartz properties have been occurring as a result of the quartz activating and will continue to manifest. Quartz has myriad properties, especially when combined with magnetics . These are as yet unknown to your scientists. Magnetite is widespread and abundant on earth, but magnetic minerals with properties exhibiting intrinsic polarity are quite rare. One of the most potent concentrations of intrinsic polar lodestone is in the quartz bearing center of the Crystal Vortex at Magnet Cove, Arkansas near Hot Springs. Crystalline quartz is multidimensional and when blended with certain magnetic properties create what you term stargates and wormholes in space. These are intermittently occurring, appearing and disappearing in random apertures above the earth’s surface in the crystal vortex at present. This activity will be regulated after the alignment and recoding of the Crysto-Sun disc on the 11-11-11. Among the crystalline phenomenon that has recently been noted is the green magnetic fog that permeated the area of Mount Magazine on the 9-9-9 and briefly shorted the electrical grid. While the ‘green’ fog was reported by local media, it was not a water vapor, but rather an ionic emission that occurs typically within worm holes. We tell you that it was visible for a brief period on your satellite screenings and baffled scientists. It was the result of the activation of the Emerald Crystal opening multidimensional corridor frequencies. On the 10-10-10 earthquakes occurred in areas that are not fault zones. These quakes were very unusual in other ways as well. They were not preceded by the typical frequencial shift of the Schumann resonance and the high pitched sonance that alerts animals and birds to the coming earthquake. 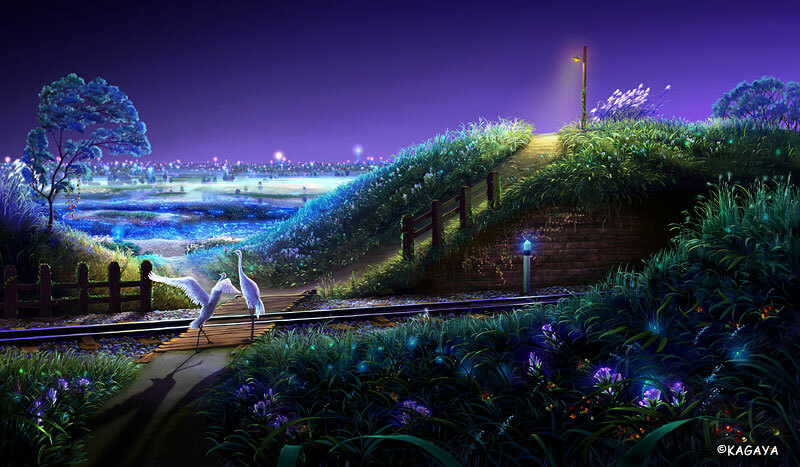 Rather a tranquilizing ‘white-noise wave’ was emitted, and the birds continued singing, and the animals were unafraid. The quake was not a result of tectonic fault line pressure in the usual sense. Rather it was a direct result of the crystalline surge pulse creating a dimensional integrational expansion and a brief aperture in the membranes that define such parameters. Crystals were indeed used inappropriately in military applications by the Aryans’ in Atlantis to trigger earthquakes. What took place on the 10-10-10 was a random incident of their ability to manipulate light into hyper velocities that result in an aftershock. Just as sound waves can create ‘sonic booms’ when exceeding certain velocities of Mach speed , so can crystalline light create a velocity induced reverse wave when it exceeds the ‘normal’ speed of light. Dear Ones, we again tell you that Crystalline Energy is an omnipotent power source that has implications far beyond humanities current understanding. Crystalline structure is formed by an essence of frequencial light resonance that is multidimensional and coherent, existing in matter and antimatter. It is the Metatronic divine template that sources all creation manifestation, and forms the very matrixial composition of every plane of existence. It is the enzyme of reality transduction and the vitality spring of the Divine Thought that forms the Cosmos itself. Crystals are great receivers and transmitters, and a strong communication network occurs between Master Crystals and indeed Crystal Vortex-Portals. The two most powerful Crystal Vortexes on the planet are indeed Arkansas and Brazil. As such the connection of the Arkansas vortexial portal to the Brazil vortexial portal is extremely important in the Ascension and global crystal network, Two Master Temple Crystals are located in Brazil , in Bahia and Minas Gerais. The former is Atlantean seed, the latter LeMurian seed crystal. The energy of both is maintained and being reactivated in Brazil and connected to the Law of One Crystals in Arkansas. Keep in mind that while LeMuria is acknowledged as a civilization of great spirituality, there were thousands of years in which Atlantis harbored far greater frequency and enhanced levels of spiritual mastery that greatly exceeded that of LeMuria. Atlantis fractured into a polarized society before its demise, but many of the most important crystals were protected, uncontaminated and stored before they fell into misuse and destruction. The greater of these are stored in Arkansas and Brazil. The intricate rebooting of the Crystal Vortex is nearing consummate integration, but will not be fully completed, fully networked in a global aspect until the 12-12-12. What has taken place over the past 3 years and what will occur on the 11-11-11 will bring the Crystal Vortex-Portal of Arkansas in its final processes of regional insular integrated function. On the 11-11-11 the Platinum Crystal will be activated, it will set forth an enormous crysto-wave pulse that will in intertwine with the energies of the Blue Crystal of Knowledge and the Emerald Crystal of Healing. These energies will then trigger the Crysto-Golden Sun Disc located beneath sacred Pinnacle Mountain near Little Rock. The Sun Disc activation is a significant event that will be felt across the Earth and Indeed the Cosmos. The Crysto Golden Sun Disc was put in place by the Sirians in alignment with 11 other locations across the planet. It originally weaved the energies of the areas of the Arkansas Crystal Vortex, the crystalline, the magnetic and the radioactive living waters. In addition to the Sun-Disc, there were Pyramidal Structures used to refine the energies of the vortex. The complexes of the Toltec Pyramidal Mounds were the last constructs of these and still remain visible today. The end result was a complex energy generator stream capable of myriad benevolent function. The capabilities varied from energy feeds to the Atlantean hyper tunnel system, the Crystalline Satellite (Second Moon of Atlantis) as well as feeding refined energies to the crystal poser system that powered Atlantis. The vortex was essentially de-energized in its true function after the demise of Atlantis. It has in the past decade been prepared for its activation, or rather re-activation. The sacred codes for the reprogramming are within the Akashic Field, the Crystalline Paradigm, within the sacred conscious library of MAX, the 13th Crystal Skull of the Pleaidean-Sirian Alliance. . MAX will indeed be in the Crystal Vortex for the re-programming on the 11-11-11. The final completions of the Crystal Vortex of Arkansas are extremely important to the Crystalline Transition of the Earth. And the crystalline transition is key to the Ascension. That is why so many of you are drawn to Arkansas for the Triple Date Portal gatherings, and why many are choosing to relocate their residence to Arkansas. This will gain in momentum over the next few years. Many ‘Crystal Children’ are incarnating into this special energy. The new emerging Crystal Vortex of Arkansas will be far more powerful and serve a different function than it did in the Atlantean era. 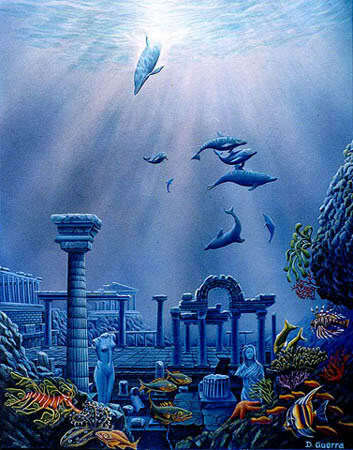 This is because the Atlanteans placed three massive Temple-Crystals in Arkansas before the tsunamis inundated Poseida . The purpose and potency of these crystals have created a hyper dimensional field that is far more ‘spiritual’ in aspect and effect. The addition of these three to the huge natural crystals will add their succinctly specialized conscious programings of knowledge, wisdom, healing and multidimensional awareness. And while their sheer natural attributes are quite capable of shaking the grounds and bending the space- time continuum far more powerfully than the famed Fire Crystal beneath the Sargasso Sea in the area of Bimini, their regulation into refinement via the Sun Disc and Pyramidal controls will insure that they are kept in optimal benevolent purpose and balance. It is the magnetics of this location in Arkansas, in fact that has held these crystal energies in balance. That is why the Atla-Ra specifically selected this area in Arkansas for their storage, and seeding. You have no idea of the energy these are capable of generating. You see it is the use of magnetic energies along with etheric light, light above and below the visible spectrum, light you refer to as ultra violet & gamma that is used to both subdue and amplify crystals. An etheric gateway has existed over this area for the past 20,000 years, and a gateway of high frequency light is able to be focused into this area. This capability is sharpening. A vast network of hyper dimensional tunnels networks the areas below central and NW Arkansas. These lead to enormous chasms and crystal caves. Some of these are still in dynamic utility. The ability to detect these tunnels & chasms will not be within your scientific capabilities for many more decades. And that is because they exist in what may be termed intra-space within a frequency of parallel hyper-dimensionality. Yet those humans of sufficient light quotient indeed can sense them, and indeed their energies do intermingle with and code the natural beds of quartz in Arkansas. A very rare form of the noble metal gold is present at deeper levels within the beds of quartz crystals below Arkansas. It is a form of unique, crystalline electrum. Much of this rare form of gold electrum was mined and exported from your earth. The deposits in Arkansas were not. These have been purposely guarded and protected in order to serve a great and greater purpose in the unique properties of the Crystal Vortex. Your geologists are well aware that gold often occurs in crystallized quartz, but have not as yet explored the unique fields, uses and energy that octahedronal crystalline gold electrum provides. The Great Atlantean Temple Crystals placed below the lands of Arkansas are actually an alloy conglomerate of quartz, silver and gold. These were manifested through Arcturian technology. The frequency of crystalline electrum gold is capable of combining with specific types of high frequency quartz to enable the ‘bending & molding’ of dimensional fields through an electro-alchemical process that transforms atomic structure. Dimensional access tunnels were often created in this methodology by the Atlanteans to create wormholes or dimensional tunnels within the Earth’s mantle that could be accessed at a higher frequency. 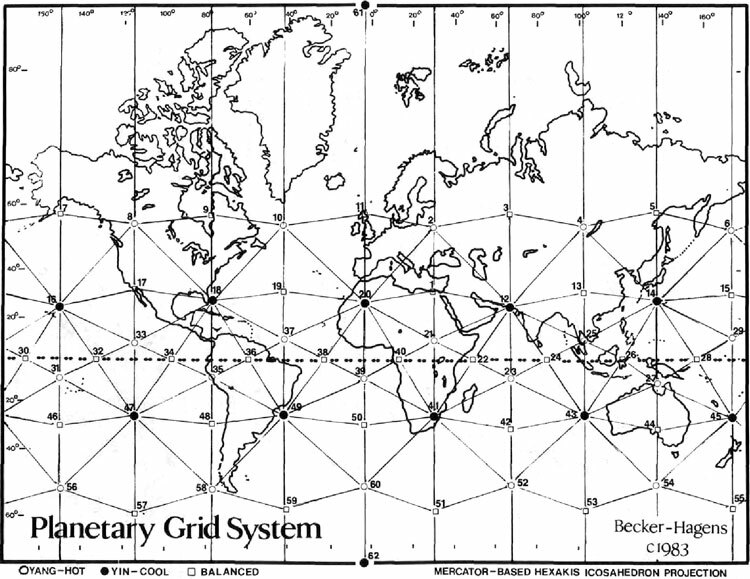 Many of these hyper dimensional tunnels were laid into place along the flows of existing leylines of natural telluric currents that flow on the Earth. Tectonic shifts have damaged many, but not all of these. Some of these were simply deactivated. There are higher dimensional beings, from the Sirian-Pleiadean Alliance and the benevolent Ashtar Command Legion that have been given the task of protecting, repairing & recoding many of these currents, dimensional tunnels and crystals over the past three decades. Some of you such as the channel, work with them, and is why you are heavily drawn to be in this energy. You’re very atomic structures are composed of perfectly aligned geometries, crystalline geometries, knitted into place with the thread of electro-magnetics. Electricity and magnetics are components of light. Your spectrum of visible light is but a candle in comparison to the magnificent geometric light of the higher spectrum. The crystalline aspect of Arkansas is not limited to the quartz. The energy of Arkansas is on higher dimension that of a multidimensional octahedron that has formed itself to the levels of the 9th through the 12th dimensional fields. The energy is transformed from the hexagonal of quartz to the octahedron of gold quartz and diamond. Diamonds project both an octahedronal and dodecahedronal geometry, and the kimberlite volcanic pipes in Arkansas that bears the energy of diamond, transform the cube to the octahedron. The hexahedron cubic is enclosed in the octahedron.The quartz Crystals of Arkansas are imbedded with the energy and wisdom of what is referred to as the Atlantean Law of One. The Master Crystals placed there have frequencially transferred this vibration to the quartz indigenous to the area, and as we have explained, the Masters Crystals contained a higher dimensional alloy of gold conglomerate that has been received energetically by some of the natural occurring beds. The crystals from the McEarl mine carry this unique harmonic. These are especially potent. All crystals are alive, in a real sense, and have an ordered consciousness, and self-awareness, but each carries unique and specific blueprint patterns. This pattern is greatly varied according to the geology and astrological energies of the vector. Therefore seemingly identical gems and crystals can be quite different in their energetic projections according to the location in which they occur. The Arkansas vortex is quite unusual in its movement. Most vortexes in the northern hemisphere of your planet spin in either ovaline or circular counter-clockwise flows. The crystal vortex of Arkansas has a very unique, very specialized ‘ to and fro’ vortexial motion. Moving approximately one-third of its circumference counterclockwise, and then reversing back in clockwise motion. This occurs in 3 separate arcs of 120 degrees. The forward and backward shift of this vortex is quite unique, and is purposed in generating greater upward thrust of the crysto-magno-hydro energies. The energy of Arkansas has three succinct telluric forces that contribute to its tri-helixed field. These are the magnetic , centered in Talimena Ridge, Crystalline apexed in Mount Ida and the Radiated Hydro energy centered in Eureka Springs. These make up the 3 discreet ovaline gyros, that are regulated and tri-helixed through the Pyramids below Toltec Mounds and coded in the Sun Disc below Pinnacle Mountain in Little Rock. The unique pattern of the vortex generates the energy into incredible thrusts with both a receiving and transmitting manifold. The geology of the area is extremely unique, more so than even your geologists recognize, and is precisely why the Atlanteans colonized and developed the area. It is why there are underground bases of the Sirian-Pleiadean Alliance in the area. The area is a rare mineralogical collation of natural quartz crystals, diamonds and magnetic lode stone. Pyramids to coordinate the natural projections of these energies and intricately intertwine their energies have existed in Arkansas for over 25,000 years. Remnants of the last ‘surface’ pyramid still exist in Toltec Mounds (State Park) just south of Little Rock. The Sirian-Pleiadean Alliance have maintained an enormous sub terranean Pyramid below the Toltec Mounds since Atlantean times. It is among the reasons so many crafts are sensed over the Crystal Vortex. Three such bases are in the Arkansas area. On the Triple-Date-Portal of the 11-11-11 the last of the thee Atlantean Temple Crystals, the Platinum Crystal of Interdimensional Communication will be activated from its long dormancy and join with the Emerald Crystal and Blue Crystal of Knowledge to finalize the combined components of the NEW ARK Crystal Vortex. 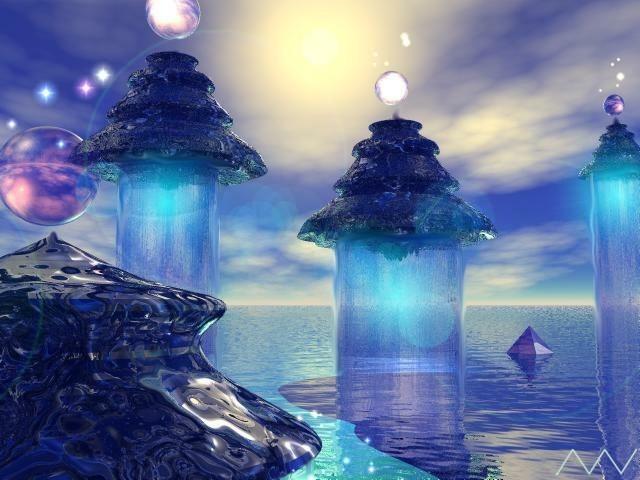 Three Atlantean Wisdom & Healing Crystals that once beamed magnificent light and celestial energy in the Temple of Healing, the Temple of One and the Temple of Knowledge on Poseida were placed in dimensional lock in the Atlantean Crystal Fields of Arkansas. The first of these was awakened in 2008, the second in 2009. In 2011 these further activate and align with the awakened Temple Crystals held in Brazil, Mount Shasta, and Lake Titicaca. We will speak in more detail about the Platinum Crystal in a future assay. But we will tell you it is a nurturing energy of the Platinum Ray and facilitates balance between dimensions and energy sources. It provides an optimal communicative reception between what may be termed inter and intra consciousness planes. It also serves to adhere a cohesive interface between the duality planes and the integral planes. It lessens the arc of duality. The Platinum Crystal will be thrust into activation from long dormancy at precisely 11:11 a.m. on the 11-11-11 from its dimensional lock, in a chasm below below Magnetic Mountain in NW Arkansas. It will be triggered by a Cosmic Force generated through the 144-Grid, initiating an activating pulse from the Emerald Crystal . The Platinum Crystal will then instantaneously reboot into flow with the 3 telluric energies and the two other Master Temple Crystals. This will immediately send a communicative wave pulse to the Golden Crysto-Sun Disc and a recoding will occur that will be fed to the Toltec Pyramid regulators. For the first time in 20,000 years, the vortex will be regionally complete. Masters, truly all that remains in 2012 is the Globalization of the Crystal Network with the 12-12-12 activations of the Bimini Fire Crystal, and the Crystal of Thoth below Lake Titicaca. This will incur the final rebooting of the 144-Crystalline Grid and the 12 Golden Sun Discs. The trigger will be the 12-12-12, the rebooting will finalize on the 12-21-12. The graduation of your planet, that termed the Ascension, is in effect the critical-mass that will allow for the conversion of this Earths receival capacity template from, in your vernacular, analog to digital, from black & white to color. An incredible ttransformation is only a breath away, literally. The Crystalline Conversion thru the antennae of the 144-Crystalline Grid is about to vastly increase the earth’s dimensional reception from 3d to 12d and beyond. It is akin to your television changing from the archaic antennae to satellite reception. It is the Crystalline Age, the wind beneath the wings of the Ascension. The fulcrum apexial points are the Cosmic Triggers and the Triple Date Portals. But release the fear Dear Ones, this time of the Ascension, in this New Crystalline Era, the mega power crystals will not be taken from you and misused as occurred in the sad demise of Atlantis. Indeed they will never again be used for any purpose other than the highest good. Be assured of this! It is a sacred oath that will indeed be kept. For you are the family of the Law of One returning to keep this promise. It is why so many of you are drawn to the completion in the Crystal Vortex, for indeed many of you feeling the call were among the revered Scientist Priest of the Law of One, the Atla-Ra, that relocated the Temple Crystals . You of the ‘Law of One’ took an oath that the Master Crystals would never again be misused, that you would not allow them to fall into the wrong hands. Dear Ones, it is a promise kept. Their sacredness and benevolent purpose has manifested. You have waited a long, very long time for this completion. It is a contract nearing fulfillment, and you are to be commended. Indeed you made this happen! The Crystalline Transition, the heralded Ascension will occur. It is happening now ! I am Metatron, and I share with you these Truths. You are beloved! This entry was posted in Chanelling EN. Bookmark the permalink. Deben mantenerse lejos de pequeños menores de 14 años.